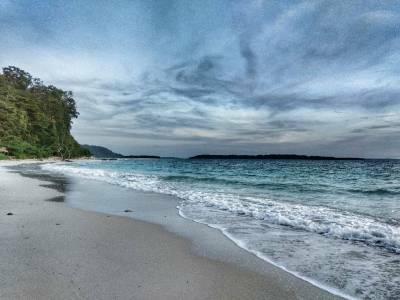 The Radhanagar Beach is a wonderful beach located on the mesmerizing Andaman Island. The blue sea and white sand make this beach a true nature’s wonder. 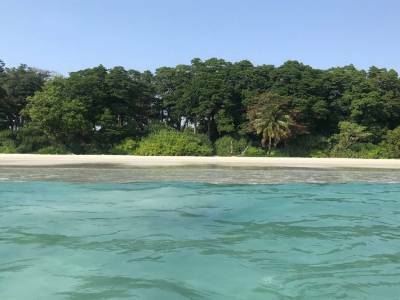 The Radhanagar beach is situated only 7kms away from the Dolphin Yatri Niwas and Vijaynagar beach, while its distance from that of the Havelock Island is just 12kms. The beautiful sunset amidst the verdant trees make the travelers & tourists forget about all worldly woes and indulge in the charm of nature. Basking, swimming and sunbathing are predominantly the major activities to do and enjoy on this fabulous and beautiful beach. 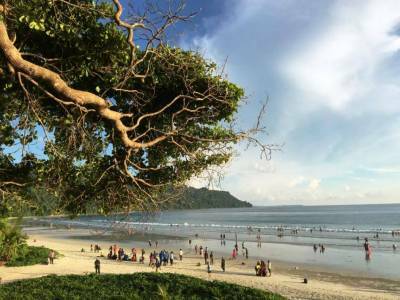 It is a must that if you ever visit Andaman, you just don’t miss visiting the Radhanagar beach anyhow or at any cost. This beach has earned many an accolade over the years and the foremost of all of them being named as the best beach in Asia and the 7th best beach in the world by Time Magazine in the year 2004. If you have ever dreamt of an ideal beach vacation, then Radhanagar beach is certainly the place for you to be in. 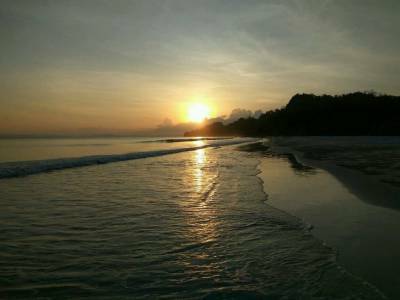 The Radhanagar beach of the Andaman Island is also known as Beach no. 7. 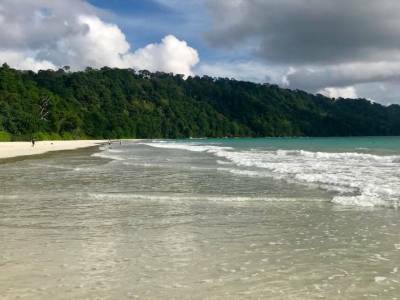 It is by far the most popular beach in the entire Andaman Island. Although one would imagine the beach to be a densely populated place going by its high level of popularity and given the sublime beauty that it offers, however; rather surprisingly it remains mostly as a quiet place. Even though the entrance can be a bit crowdie, if one walks through a couple of hundred metres this side or that, one would find himself alone again. The best and the most conducive time for visiting the Radhanagar Beach is between the months of October to February. The Radhanagar Beach is indeed a gem of a beach to relax in the lap of nature and seek solace from the hustle & bustle of daily life. Get quick answers from travelers who visit to Radhanagar Beach.